I brought Jackie home in July of last year. Now she’s a fully grown Golden Retriever, still a bundle to handle, but improving as time goes by. What a beautiful dog she has grown into! She has become a beautiful young lady! Your photos remind me of how much that I’d like to have another dog if it were possible. I hope it will be possible for you some day, in the not too distant future. Beautiful dogs. My favorite dog was a part Golden, part wolf that showed up in my yard on the Navajo Reservation. Enjoy your lovely dog. Golden and wolf! What did it look like? Did you keep any photo? My photos ate in a photo album and I’m not even sure if I have a photo of her. My so had thrown my little camera in the river and it was years before I bought another one. She had a body and head like a Golden but bigger, broader and she had a real fluffy, thick undercoat. That’s good to hear. Thank you Michael! She is, most of the time! You will have lots of pleasure from her. Lovely dog. I think you are right. Thank you! Thank you Eliza, on behalf of Jackie! She was absolutely adorable as a puppy and is now such a pretty girl. 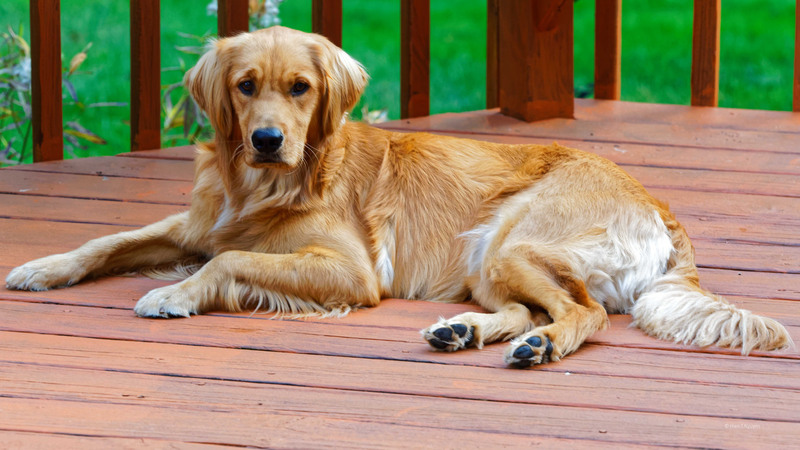 I do love Goldens. Thank you Lois! 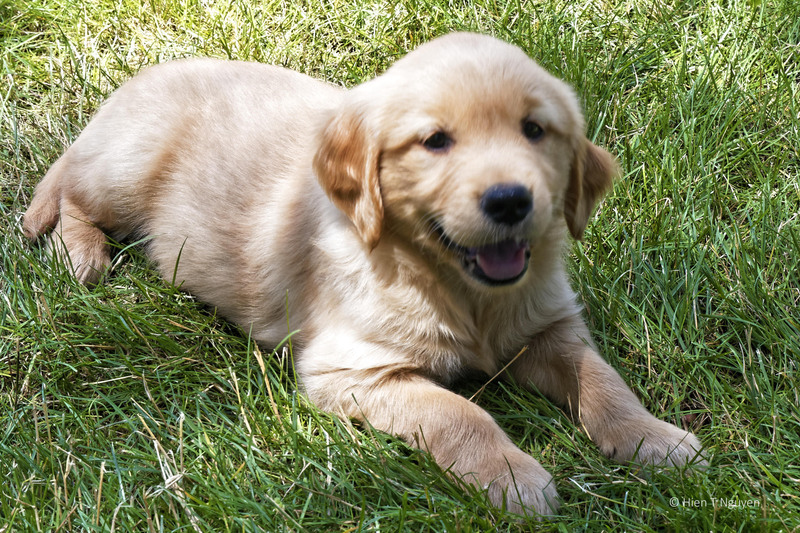 Goldens rank near the top of favorite dog breeds.